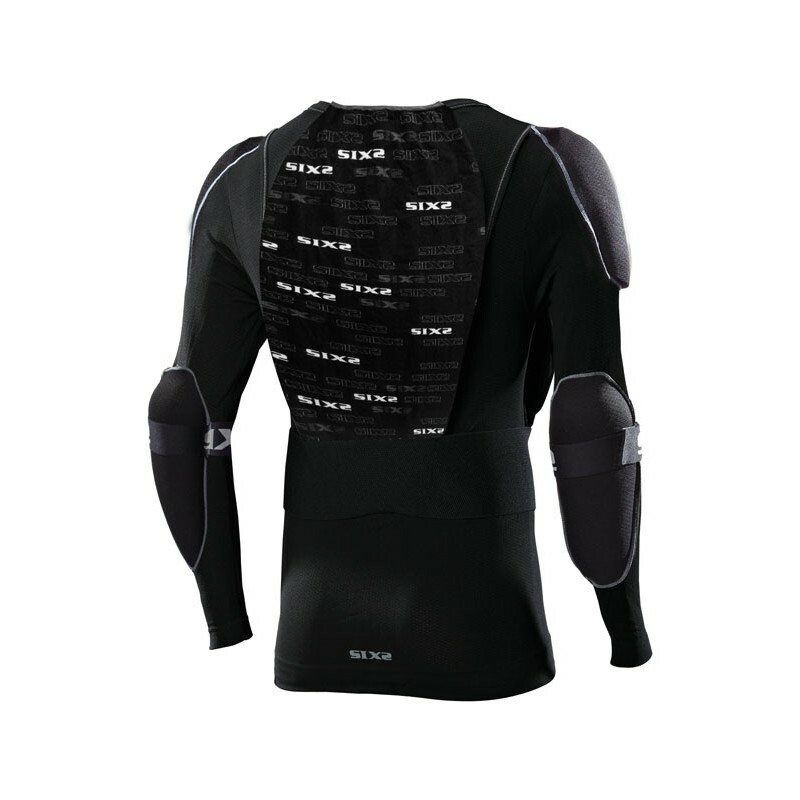 Long-sleeve jersey with full-length zipper made of Reinforced carbon Underwear. The carbon Underwear fabric has been reinforced to guarantee the same breathability and thermoregulating features as our underwear, but with increased density to bear the weight of the protectors and keep them rmly in place. 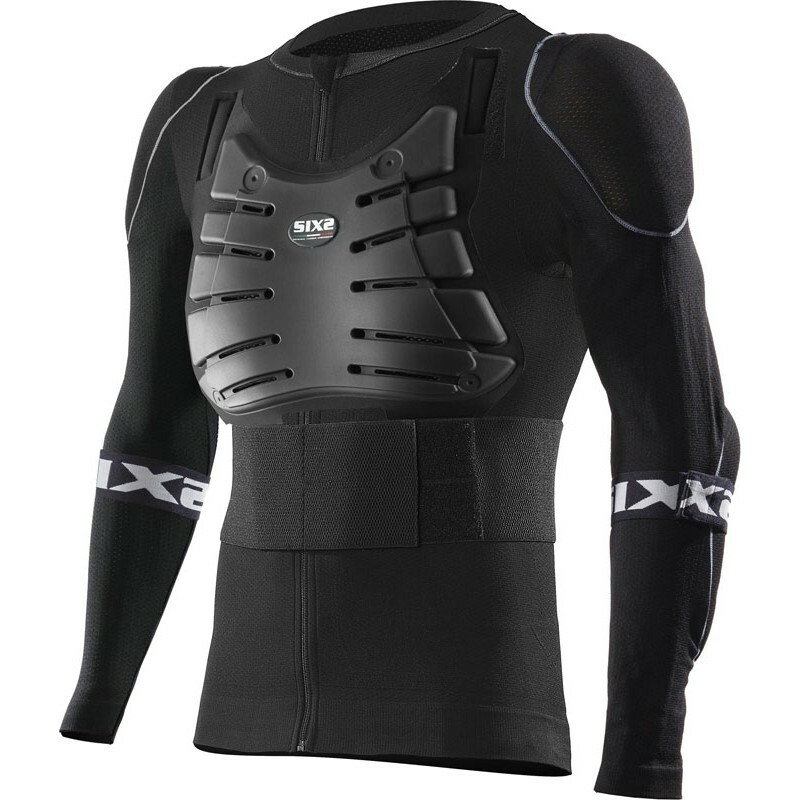 Extremely customizable depending on the needs: protectors for shoulders and elbows can be removed from the inside pockets that prevent them from moving. Back protective armor with separate housing adjustable in height or that can be removed from the jersey. The abdominal band that holds the back protective armor in place is removable, too. The ventilated chest protective armor (ce approved) is easy to adjust and remove using the velcro closure. The product compatible with any type of neck Brace. 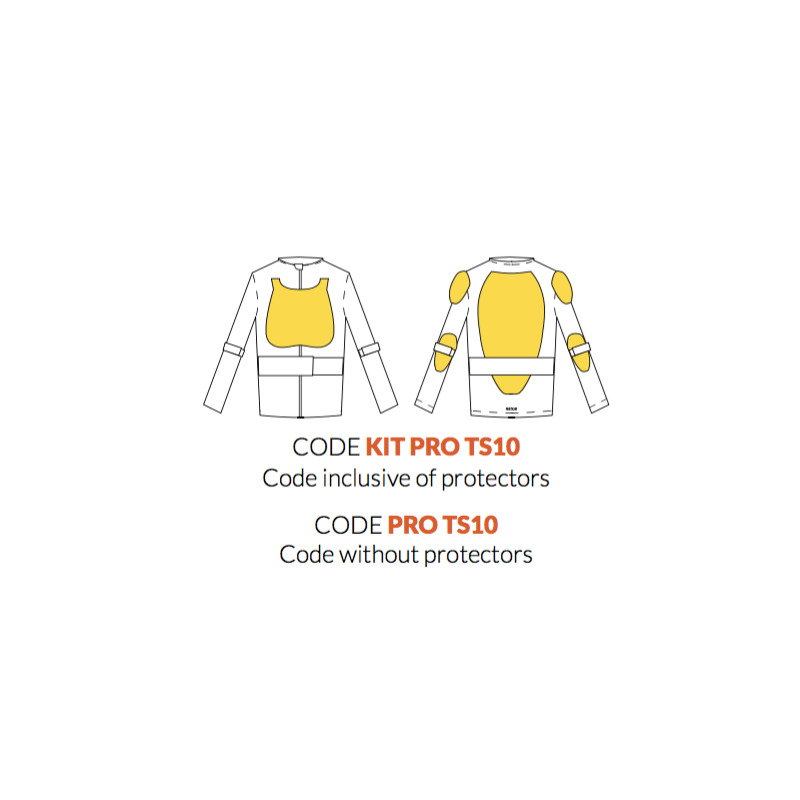 The customer can choose from CE approved protectors level 1 (D3O) or level 2 (SaS-Tec).